Are you searching for Subaru service in Carthage? If your answer is yes, then the diesel auto mechanics at Dry Fork Diesel & Auto LLC are your best bet for top-notch service and repair. Our technicians, not only work on cars and trucks running on diesel, but are also experts at the service and repair of gasoline-powered cars, including Subarus. We may specialize in diesel cars and trucks, but our experience, equipment, and education in the automotive industry are diversified. If you own a Subaru, along with a diesel, bring your car to the technicians at Dry Fork & Auto LLC in Carthage. We will keep your car running in tip-top shape. You will continue to drive along the Carthage streets in safe and sound Subaru. At Dry Fork Diesel & Auto LLC in Carthage, we believe actions speak louder than words, which is why, when you visit our facility, you will be treated with kindness and courtesy. We don’t just we are a trustworthy diesel auto repair shop, we act like it too. 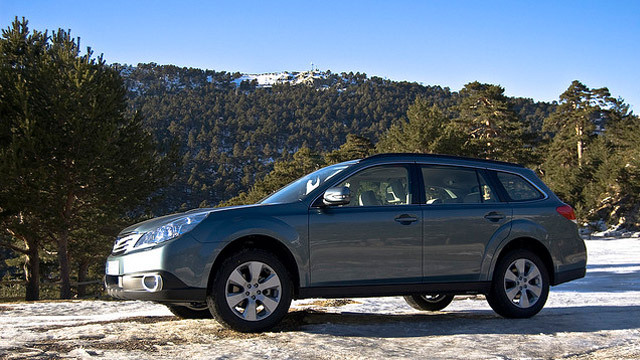 And our 3-year/36,000-mile warranty is also a testament to the quality, reliability, and longevity of our Subaru service. It can be a struggle to find a trustworthy auto repair shop, let alone a facility with the equipment and expertise necessary for diesel auto repair. We are here to tell you that your struggle is over. Dry Fork Diesel & Auto LLC specializes in diesel auto repair, and we are trusted to fix, anything from a Sprinter Van to a Freightliner, right the first time. For Subaru service, schedule an appointment today. We are located at 16740 County Road 138 Carthage, MO 64836.